The Bikers’ Classics organisation is proud and happy to announce that sidecar legend Rolf Biland has been signed to ride at one of Europe’s biggest Classic race events from July 4-6 on the circuit of Spa-Francorchamps. Together with his passenger Kurt Waltisperg the Swiss rider will return to the circuit at which he celebrated many great triumphs. 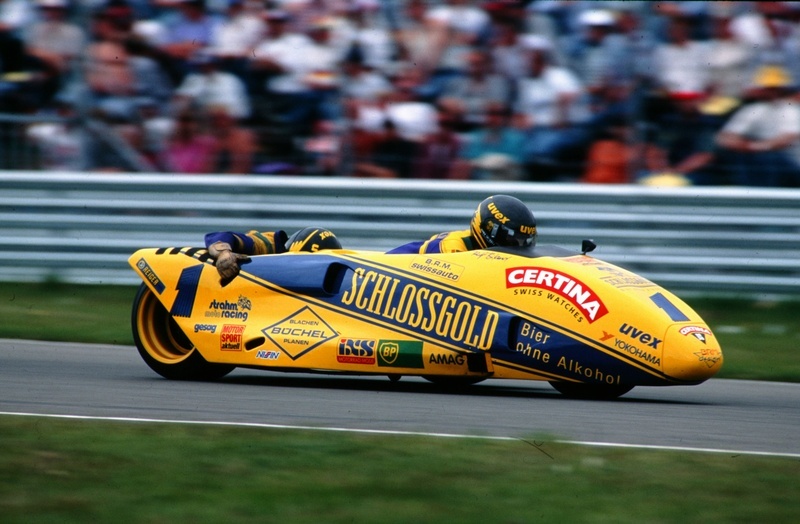 Without a doubt Rolf Biland and Kurt Waltisperg are the most illustrious names on a list of sidecar riders who will all return to action at the 2014 edition of the Bikers’ Classics – and the list is getting more and more impressive. Biland made his race debut as a passenger back in 1971 but man-handling a sidecar, he evolved into a constant innovator of the sport who never stopped setting new standards – as a technical pioneer and also a rider. The now 63-year-old Swiss celebrated more than 80 Grand Prix wins on often revolutionary outfits in a career that lasted more than two decades. Only solo riders Giacomo Agostini, Valentino Rossi and Angel Nieto managed to rack up more race wins during their world championship careers, and that once more illustrates Biland’s legendary status. Biland did more than merely offer a highly respected CV to earn his unrivalled reputation in sidecar racing. To Biland winning simply wasn’t enough and together with constructor Louis Christen he continuously worked on finding innovations. In 1974, Biland won his first Grand Prix, 22 years later Biland and Waltisperg waved goodbye to the sport with a win at the season finale at the Grand Prix of Catalunya. 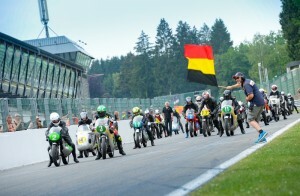 Biland returned to Grands Prix as a team-manager to the MüZ 500cc Grand Prix Team of Luca Cadalora and Jurgen van den Goorbergh. The three-wheeled Swiss phenomenon first became a World Champion in 1978 with Kenny Williams alongside him. His most successful period then came when his countryman Kurt Waltisperg replaced Williams in 1979. The Biland/Waltisperg connection won six world titles from 1979 to 1994. Their last World Championship came with a LCR-Swissauto. Exactly 20 years after that final championship, Biland and Waltisperg not only return to Spa-Francorchamps, they will also be reunited with that same LCR chassis and its mighty Swissauto-V4. Biland had eight rostrum finishes at Spa-Francorchamps, and apart from his two seconds and two thirds, obviously his four wins are most special. 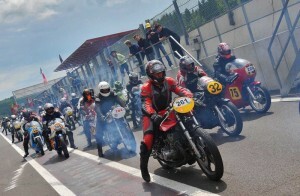 The organisation is still working on completing the list of participants in the Sidecar class for that first July weekend, and with the long-awaited signing of Biland and Waltisperg, the 2014 Bikers’ Classics promises to host the most spectacular reunion in sidecar history ever – an event no motorcycling race fan would want to miss.